Cingular Wireless and Nokia today introduced the Nokia E62 device, a robust, sleek device built specifically for wireless email whose attractive price promises to take superior mobile email access beyond the executive suite and into the hands of the everyday wireless user. 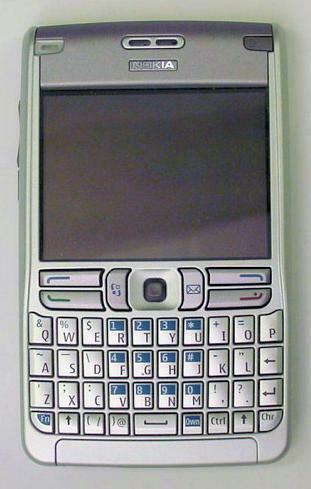 The Nokia E62 device will be available exclusively from Cingular in the U.S. for as low as $149.99. Measuring barely half an inch thick, it features a full QWERTY keyboard with large backlit keys for easy typing, and a sizeable, high-resolution 16 million color screen measuring 320 x 240 pixels. Whether they're business people or consumers, Nokia E62 device users will have a variety of popular secure email platforms from which to choose. These include Good Mobile Messaging, Cingular Xpress Mail, BlackBerry Connect, Mail for Exchange (direct push corporate email from Microsoft Exchange), the Nokia push solution via Intellisync Mobile Suite from Nokia, and standard clients such as POP3, IMAP and SMTP. In addition, the device includes a pre-loaded instant messaging application. Beyond email, customers can view, edit and create documents, spreadsheets and presentations. They also can surf the Internet with ease using the device's robust S60 browser, developed by Nokia. This gives them access to a treasure trove of Web content via Cingular's MEdia Net(SM). The Nokia E62 device boasts exceptional Nokia voice quality with approximately five hours talk time. In addition to a crystal-clear connection, users get such features as speakerphone, six-way conference calling, voice dialing, voice commands for menu shortcuts, and a dedicated voice key for easy use of voice recording. Cingular customers can use the Nokia E62 device whether they are taking it to the other side of town, across the country or halfway around the world. 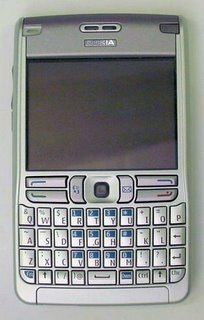 In the United States, Nokia E62 is powered by Cingular's ALLOVER(TM) network, the nation's largest digital wireless voice and data network that has the fewest dropped calls of any national carrier. The nationwide* ALLOVER wireless data network, powered by EDGE, is the largest national high-speed wireless data network in the United States with availability in 13,000 cities and towns and along some 40,000 miles of major highways. When abroad, customers can use the Nokia E62 device in more than 180 countries for voice and over 100 countries for data. "With Nokia E62, Cingular and Nokia have brought everything together - applications, sleek design, and price all on the nation's largest national high speed wireless data network - to make it even easier for consumers and business customers to experience what is today the key application in wireless data, namely, email," Mathy said. "Once customers experience the power and convenience of wireless email, they are naturally inclined to try and use the broad array of other wireless data capabilities we make available." Nokia E62 will be available beginning September 29, 2006 in Cingular Wireless retail stores nationwide, select national retailers, on www.cingular.com and through Cingular's B2B direct sales organization.